Alamo Drafthouse has created a new mobile device policy. The movie theater chain, which does not fool around when it comes to the regulations it places on its moviegoers in relation to the use of mobile gadgets inside its walls, has taken a step beyond its anti-texting policy and has banned its patrons from using Google Glass within its cinemas. Glass may not cause disruptions but it could lead to movie piracy. Alamo Drafthouse Founder and CEO Tim League said that the banning of the wearable device was not for the same reasons as the policies that had been put into place for smartphones. With Glass, keeping a movie theater dark and quiet is not the issue. Glass wearers are not likely to distract and interrupt other moviegoers from watching the film, as is the case with handheld mobile devices. However, the problem with this wearable technology is it can enable its user to effortlessly and clandestinely record the movie playing on the screen. 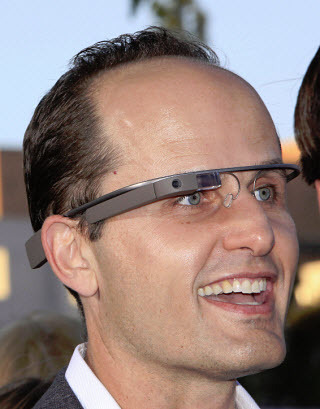 In other words, Google Glass could make it easy for a person to tape and pirate a movie. Alamo Drafthouse is not the first movie theater chain to ban Google Glass. Although Alamo Drafthouse has prohibited Google Glass, the policy is not exactly clear-cut. Just like cell phones, the device will need to be shut off once the trailers begin but, in some cases, users may still need to wear the device in situations where they need to rely on the prescription lenses in the glasses to view the screen. Thus, depending on the circumstance, a specific policy may need to be enforced on a case by case basis.